One thing I read that makes things a little easier during this big transition, is having meals prepared for you to simply take out of the freezer and pop in the oven for dinner. Most people do this because they want to be able to have a home-cooked meal when they don't have the time or energy to cook. I think I am doing it because I'm concerned with the revolving door of guests coming by, if I can't provide food for my visitors, I'll feel terrible. 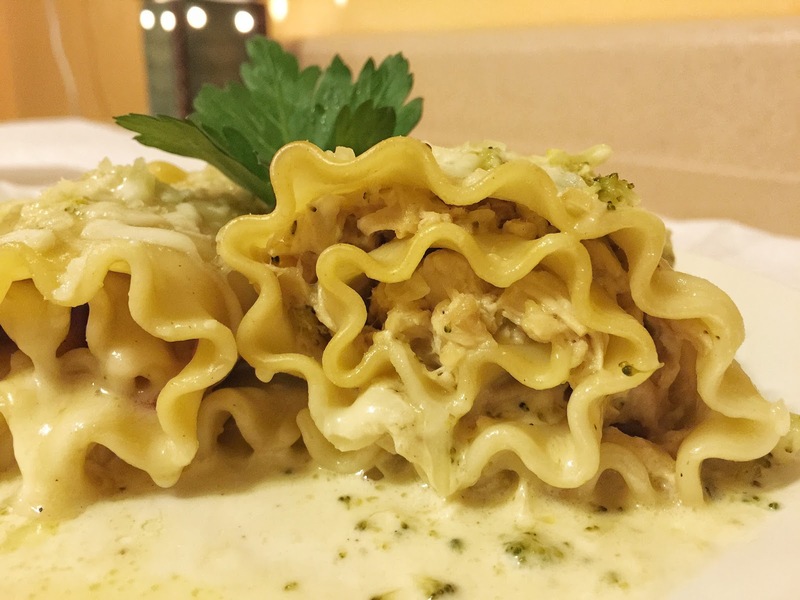 Enough chatter, here's a quick recipe that fills the need of delicious lasagna, chicken Alfredo, and a quasi-mac-and-cheese all "rolled" into one! If you like a lot of sauce, be sure to double the first 8 ingredients so you have lots of sauce leftover to douse your roll-ups. 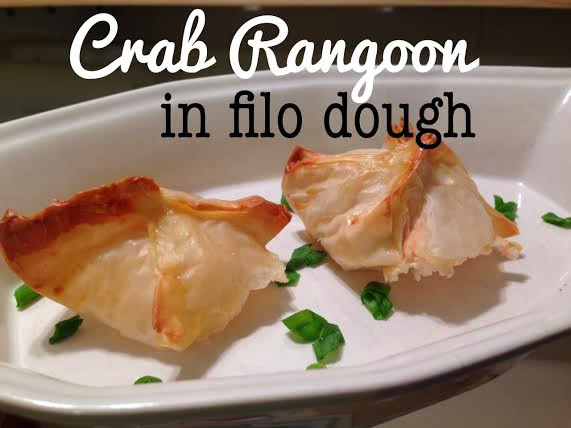 Otherwise, this recipe makes 12 rolls, perfect for a family of 4-6! 1. In a skillet, melt butter and saute onion and garlic with salt and pepper until soft. Add white wine and reduce by half. Add chopped broccoli to the pan, stir to incorporate, and simmer for about two minutes, to let flavors come together and broccoli to soften a bit. 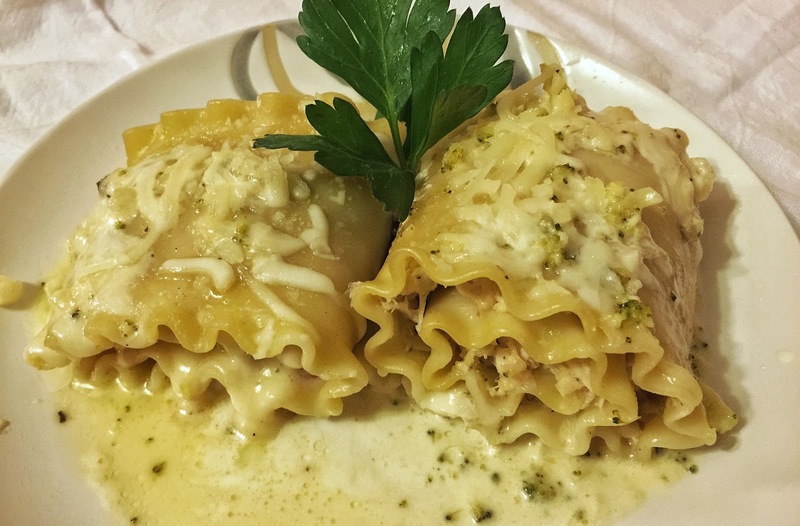 Stir in cream and grated cheese and whisk until cheese is melted and sauce begins to thicken. 2. Reserve two cups of sauce. There should be 1-2 cups of sauce left in the pan for you to stir in chicken and half the shredded Italian-blend cheese until the consistency becomes somewhat like chicken salad. The chicken and cheese should absorb most of the sauce. Set aside until cool enough to handle. 3. In the bottom of a greased pan, pour one cup of the reserved sauce down. Spoon about 2-3 tablespoons of chicken mixture onto cooked lasagna noodles. Starting at one end, roll noodles until secure and place "seam-down" (noodles really don't have seams, but you get it) onto the sauce. Repeat 11 more times, making 12 chicken roll-ups. 4. Pour the remaining one cup of reserved sauce over top the roll-ups and cover with remaining half of the shredded cheese. Bake in a 350-degree oven for 25-30 minutes, until warm through and cheese is bubbling. Sprinkle with fresh chopped parsley and enjoy! Disclaimer: I do apologize for the less-than-stellar photos of this dish. I am acclimating myself to my new house, which means new lighting, and figuring out where the best shots come from. The kitchen, at night, is not a place where the best shots come from!